The Type 80/88 was still superficially resembling the previous generation of the Type 59/69/79 betrayed by their cast turret. 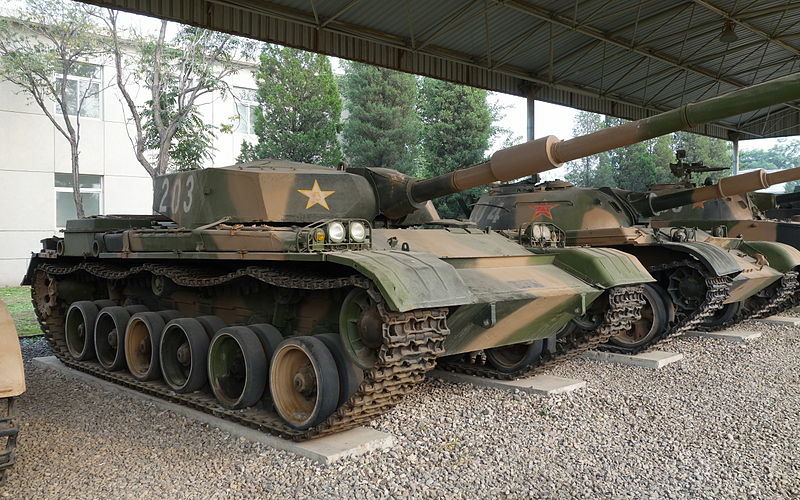 The Type 69/79 somewhat benefited from improvements from the T-62 but the series ended mostly as an export version. The 617 Factory (later First Inner Mongolia Machinery Factory or NORINCO) designed and built the mass-produced Type 80 followed by the improved Type 88 that were truly second generation battle tanks, with a brand new engine and drive-train and all-out improvements in the FCS, gunnery and protection. However, the cast turret did not meet modern standards as shown by engagements reports from the 1991 Gulf war with Iraqi Type-79s. At the same time, the Chinese PLA had access to more modern T-72 from various sources in the Middle East. Studies led to a brand new design before the Type 88 was even introduced. The Type 80/88 from which the Type 85 shared many characteristics and components. 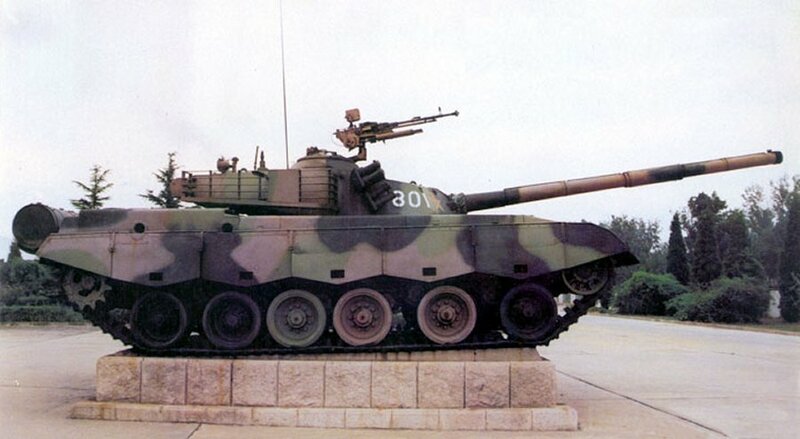 By the beginning of 1989, NORINCO officially announced it has developed two new MBTs based on the Type 80 MBT chassis, in association with the 201 Institute (now China North Vehicle Research Institute). Other manufacturers/design offices apparently also submitted their designs. The Type 85-II and the Type 85-IIA emerged from these. 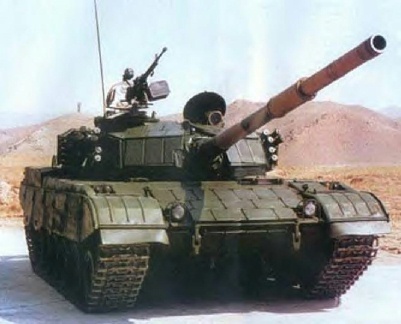 Conceived to meet the operational requirements of the PLA, they began their trial campaign in mid-1989 and stunned Soviet and Western military experts alike by featuring for the first time a welded steel turret with compound armour believed to be similar to the one of the T-72, instead of the traditional cast turret. The other novelty was a brand-new computerized fire-control system combined with a independently stabilized sighting system. As a result, the gunner could now engage moving targets even more successfully at full speed. 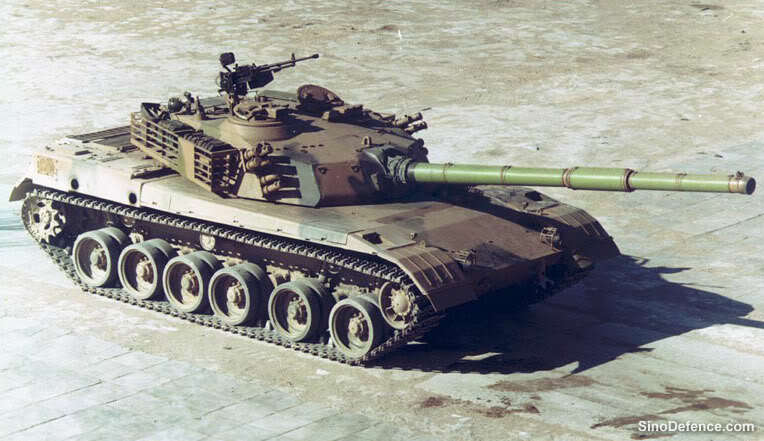 The Type 85-II only observed or obtained data differed from the IIa by a slightly heavier chassis (39.5 tonnes) although being shorter in length. Type 85 with its distinctive welded composite armour turret and ERA. From the Type 85, four other types were studied and produced: The Type 85-IIAP and Type 85-III for Pakistan, the Type 85 H and the enhanced Type 85M. Meanwhile, the revelation of fire tests practiced by South Africa (passed onto the Chinese) against a captured T-72 with a 105 mm gun showed the latter was left unharmed while it can always reply with more efficient ammunition. The Type 80 and 85 were found vulnerable. 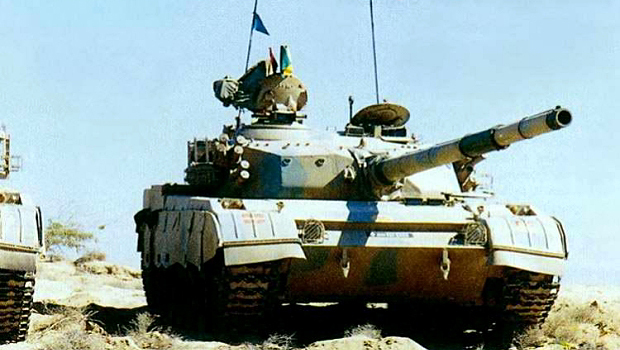 Others reports from the Gulf war of 1991 were obtained (notably those regarding the performance of Chinese-built Iraqi tanks) that imposed PLA’s to urge the development of a third generation MBT and to radically improve the protection of the current types in service. The Type 85 was chosen as a test-bed for these improvements in protection systems, while the Type 88 later was a Type 80 upgraded to this late level of protection, kept only for domestic needs whereas the Type 80 was largely exported. About 600 Type 85s are in service today whereas the Pakistani Army uses around 300 Type 85H/M. Type 85-II AP, similar to the Type 85M. The Type 85 uses the same chassis than the Type 80, and the same Norinco 730 hp 12150L-7BW diesel engine, which gave a top speed of 55 kph but both the hull and turret received an additional layer of composite armour on the front and sides. The Type 85-II and IIA shared the same main tank gun with the Type 80, a 105 mm rifled, with 46 or 44 rounds being carried depending of the type. The NBC system is collective, with over-pressure. The 85-II and 85-IIA also shared the same Type 889B radio receiver/emitter. The most obvious feature of the Type 85 was the used of composite armour on the upper hull, replacing the storage, and of course the brand new welded turret which featured layered (classified) armour possibly modeled after the T-72 “Dolly Parton” features, although most probably it was equivalent to the T-72M somewhat downgraded protection. This chassis was lengthened even further, at 6.37 m hull only vs 6.24 m, the rear being remodeled around the same German-licensed diesel used in the Type 80. The hull is still made of welded RHA cold steel plates, with the characteristic glacis and beak nose of the previous series. However an upper view reveals the much greater gap between the turret ring and beak. There was apparently a recess towards the rear, artificially increasing the front glacis slope. 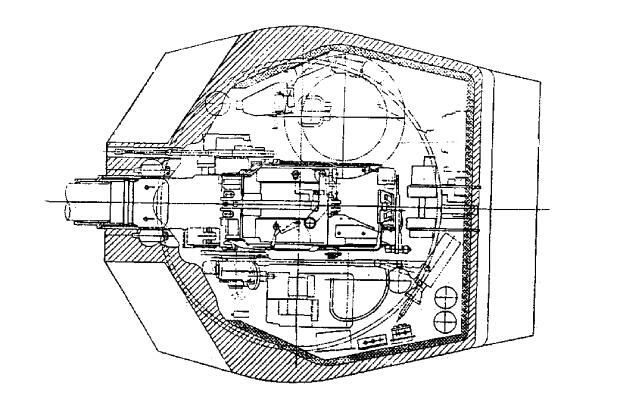 The compartmentalization calls for a front left hand side driver’s compartment, still equipped with a three periscopes, central IR sight), on a rear-opening one-piece hatch. The small escape hatch in the belly under the hull was also kept. However the welded breakwater was removed to make way for fittings to add ERA blocks. Day and blackout headlights with armoured covers are placed on the glacis, on each side of the front mudguards. The engine exhaust pipes are characteristic of the serie, both placed on the right side. Louvres and grilles on the engine deck are modified to take place in a raised and completely redesigned engine deck. Side protection consists of six panels of thick rubber side skirts. Individual external storage boxes are eliminated and replaced by encased compartments blended in the upper hull. The drive train looked similar of that used on the Type 80/88 series, with six pairs of rubberized road wheels, central pin tracks with rubber shoes, and three return rollers. Due to the hull being slightly longer at the rear, there is a small gap between the last road wheels set and the other three. However there is still a characteristic much greater gap between the two forwards road wheels. They are attached to torsion bars units reinforced by three shock absorbers per side, two placed at the front and one at the rear. The drive sprockets are at the rear and idlers at the front, both of the Type 80/88 serie. Thanks to this new small diameter road wheels and new optimized turret, the Type 85 are lower than all other Chinese tanks in service. The 12150L-7BV diesel 730 hp (544 kW) combined to a 38 tons vs 36.7 tons for power to weight ratio of 18.7 hp/ton. The engine was coupled with Mechanical, planetary transmission. Top speed (on road) was somewhat reduced compared to the Type 88 at 55 kph rather than 57 kph. But operational range did not changed, to 430 km and up to 600 km with the drum-type fuel tanks attached at the rear. For deep water fording, a snorkel is fitted on the turret’s rear storage basket. The main gun is the Type 83 rifled gun derived from a Austrian-built L7 105 mm main gun, hand-loaded. The commander sits on the left hand side with the gunner in front of him, and the loader at his right. However, the main gun is coupled with an automatic loader on the Type 88 MBT, which reduced the crew to two (see later). Secondary armament comprised a 7.62 mm coaxial light machine gun Type 80 and the usual roof-mounted 12.7 mm air-defense machine gun Type 59 generally operated by the loader. Ammo supply is 45 rounds. The main gun is capable of firing all NATO standard rounds, namely HE, HAP, Frag, HEAT, APFSDS and APFSDS-T rounds with for the latter apparently DU penetrators (Depleted uranium caps). At 2000 m range the latter can penetrate from 460 to 480 mm (type 83A) of RHA, 510 to 540 mm (type 83A) of RHA with the Type 93 round and 580 mm of RHA for the Type 95 round (Type 83A “long” barrel). The turret design is brand new, of roughly hexagonal design, and much more compact that the old cast design. Its front faces modules and rear section are very thick and filled with composites layers of classified composition, believed to stop APFSDS 125 mm rounds (used by the T-72). The “pig snout” mantlet protruding between the two front faces, and is covered by a tarpaulin. The gunner’s sight is still on the left, but relocated to the roof, while the coaxial MG is located to the right of the gun. The Commander day/night sight is placed in front of his cupola turning table that can traverse a full 360° of new design, welded to the right hand side. Storage and protection against RPGs is provided by a cage or BAR armour type basket running along the rearward-facing sides of the turret and turret rear, with fittings for the snorkel. Deactivated type 85 on display (Chinese wikipedia). Active protection is provided by the presence of two banks of four and two of two beneath them on the front faces, all electrically-operated smoke dischargers, firing smoke rounds blinding IR and visual sights. In addition there the smoke screen generator device injecting diesel fuel into the exhaust is also kept to provide more smoke. Fire accuracy is improved thanks to a 2-planes gun stabilization system, the Type 37A dual-axis stabilized light spot fire control system (FCS). Both the gunner’s sight and main gun are fully stabilized, improving first hit capability and fire-on-the-move accuracy, characteristics awaited from a 2nd generation MBT. Sensors are present on the roof to feed the ballistic computer. The Type 85-I features a thermal sleeve for the main gun and the turret incorporates composite armour. The Type 85-II features an improved fire-control system incorporating a new integrated laser rangefinder, on-board ballistic computer and wind sensor as well as electronics upgrades. The automatic loader is derived from a reverse engineered one T-72 alleged from the Middle East (Iraq?). Type 85-IIA Features a 125 mm smoothbore with an auto-loader alleged to be based on the Soviet 2A46 design. Late in 1992, the Type 85-IIM was announced and publicly revealed. It is much heavier than the previous Type 85. Outside provisions for additional ERA armour, this version chiefly differs by its main armament: A 125 mm smoothbore tank gun fitted with a fume extractor and thermal sleeve, pioneered by the the IIA. It is fed by an automatic loader which selects Shells, complete Ramming, filling, and other operations, reducing the crew to three and making more room for the bigger rounds. This system uses three types of separate rounds with projectile and charge: 125 mm APFSDS, HE and HEAT (instead of four on previous 105 mm MBT types). Type 85-IIAP (1993), (near identical to the Type-85M) produced under license by Pakistan. APFSDS: This 125 mm projectile has a muzzle velocity of 1,730 m/s (armour penetration 500 mm RHA at 0° at 2,000 m). It is 546.5 mm long, weighting 7.34 kg and compatible with the T-72 tank gun according to NORINCO. BK-29 HEAT: It has a hard penetrator in the nose (tungsten cap?) is designed for use against reactive armor, and as an MP round with fragmentation effects against soft skin vehicles and infantry. It is complementing the FRAG-E. The type 85-II 125 mm tank gun is believed to fire the APFSDS-DU : 550 mm of RHA/0° at 2000 m.
The Image-Stabilized, night vision GEC-Marconi Centaur Fire-Control System (ISFCS) calls for a laser range-finder integrated into the stabilized gunner’s sight, therefore no more external, thus less vulnerable. A British Barr and Stroud thermal based FCS is available in option. Control, sensors, coupled to an overhauled ballistic computer gives a much high first round hit probability, including against moving targets, while on the move. A second-generation image intensification night vision device is provided to the commander, but also the gunner and the driver. Propulsion still relies on a supercharged V-12 diesel engine (730 hp) coupled to the same or upgraded transmission. The exhaust outlets are relocated on the left side of the hull, just above the last road wheel station contrary to the previous Type 59/69/79. The hull is of a new design altogether, NBC collectively protected (with over-pressure). There is also an upgraded Type 889B radio. Both in the crew compartment and engine bay, there is an explosion detection and automatic fire extinguisher. The suspension seems unchanged, still counting six dual rubber-tired roadwheels, torsion bars, and shock absorbers with dampers. Side skirts still protects the roadtrain while the steel tracks links receive rubber pads for extended durability. The Type 85 is believed to be equipped optionally with a mine plows and roller-plow set for mine-clearing operations. 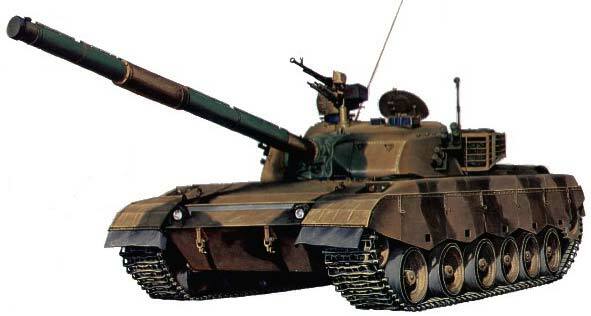 By mid-1991, the Type 85-H MBT co-production with Pakistan (Heavy Industries Taxila) was announced by Norinco. A Pakistani variant of the latter was also chosen by Pakistan as the Type 85-IIAP, and revealed in a parade held in Islamabad in March 1993. 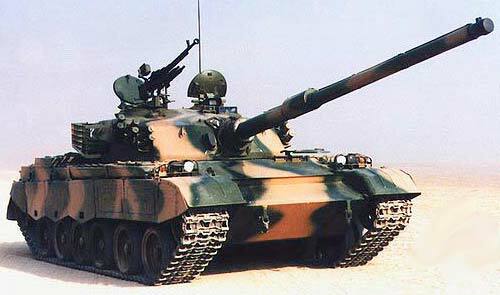 The Type 85-III MBT developed by Norinco was conceived as an export version intended for Pakistan. It had a more powerful, 1,000 hp diesel engine and the same 125 mm smoothbore gun developed on the H/M. Engine failures in trials directed for the Pakistani Army led it to reject the model. However these engine problems were later fixed by Norinco, which in 1995 added to the package an ERA upgrade. However this model was still largely a 2nd generation design that did not fared well against western or Russian designs and therefore the Army rejected its production. However this became a standard upgrade for the earlier Type 85s (including the Pakistani Type 85-IIAP). The III also served as a basis to develop the Type 96 MBT. 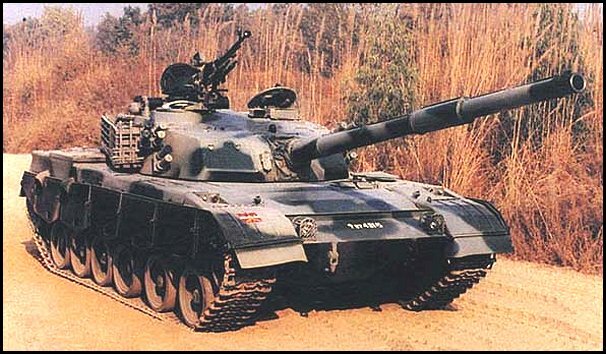 Type 90-IIM MBT. 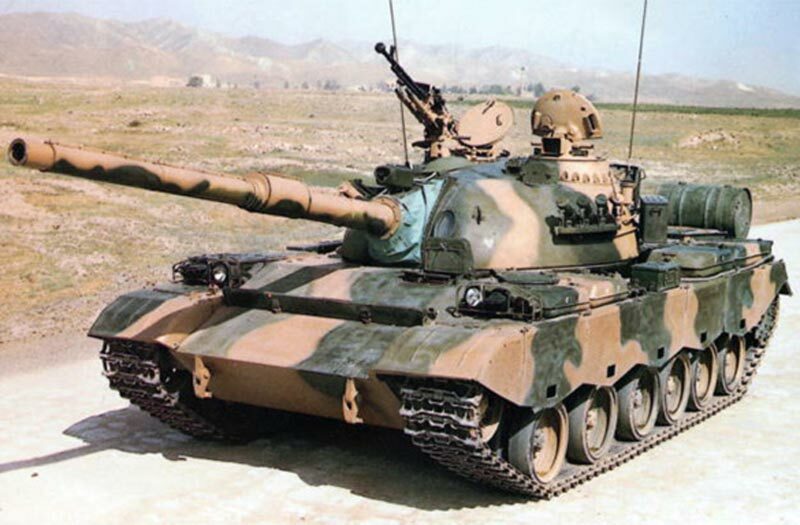 The Type 90 was directly based on the Type 85-III of 1995. – Around 200 type 85s were shipped to Sudan (and not Type 80s contrary to what Wikipedia states) according to a photo showing a military parade in Karthoum. They saw action against Southern Islamic militias during the second civil war (1983-2005). – 300 Type 85-IIAP are in service with Pakistan, built under license by the Heavy Industries Taxila. Armament Main: 105 mm rifled, 46 rds 18°/-4.5° Elev/Dep. Sec: AA Type 59 12,7 mm HMG, Coax. 7.92 mm LMG. Armour : RHA classified, BAR, ERA, Rubber side skirts. Total production Around 600 (estimated).